"@clickflickca @JOEY_TORONTO I want a $50 gift card to eat at #JoeyToronto"
This Twitter contest is for Canadians only. I will randomly select a winner on Monday August 29 at noon. I will use random.org to select a winner. 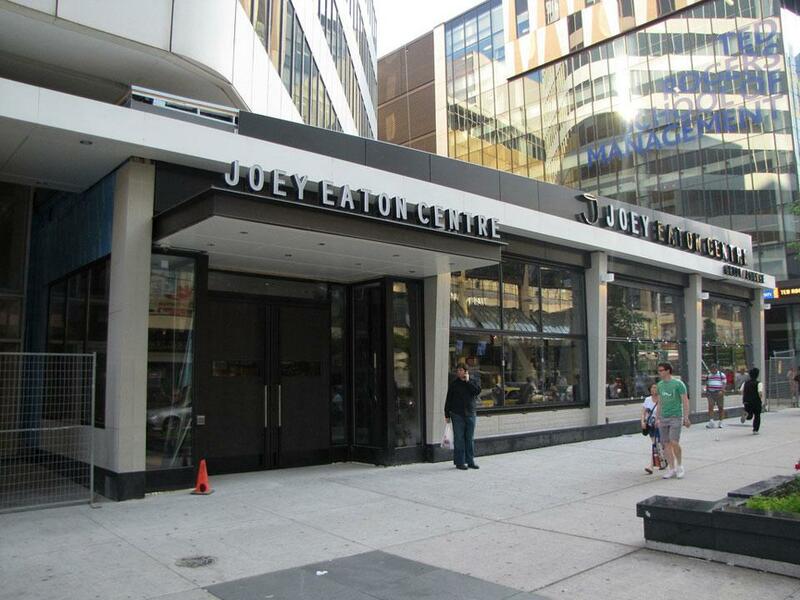 All tweets must have both Twitter handles and the hashtag #JoeyToronto to win. Good Luck! Are you daring enough to try something thrilling? The CN Tower in Toronto recently introduced a new attraction called Edge Walk and it's quite the unique experience. It's billed as an extreme urban adventure not for the faint of heart. I jumped at a chance to join Lisa @lisamcphee and Keith @specialKca on this crazy attraction. Prior to the walk up top of the CN tower we all had to sign waivers, take a breathalyzer and get swabbed and locked all loose items into a locker that is provided. We then got fitted into jumpsuits and a harness and quadruple checked for proper safety before heading up the tower. We had a fun group because 2 others in our group of 6 were celebrating their birthdays the same day. At this point in the process the whole group was full of anticipation. Lisa getting a breathe check. This is me signing the contract. I did not read it at all. Oops! Getting suited up prior to the walk at the Base Station. Current weather conditions prior to the walk. Viewer's discretion advised on watching the following videos. You may get nauseous especially if you are not fond of heights. As soon as we reached the top of the tower the vista was simply amazing. We were scheduled at 7:30pm which was a perfect time because the sun was setting upon the city. I did not feel nervous at all and was more absorbed in enjoying the view in this first video. Rob, our guide for the walk made the walk more fun because he was funny and entertaining as you will see in the videos. He's geared with a camera that is taking all this footage. We are asked to do various challenges on the walk and I will admit that some of them are very difficult to do. It was quite a thrill at some points and just generally beautiful to be up there to see the city from a rare vantage point. Overall the unique experience will push your limits and make you appreciate the beauty of the view. Upon completion of the walk, you will receive a photo and dvd with all the footage and a certificate of achievement. For an additional cost, you get all the images and videos on a usb stick as well. So if you live in Toronto or visit it often, I highly recommend you try it because it's totally different from any attraction I've experienced. It would be a great way to celebrate a birthday maybe even proposed to your significant other. One tip I recommend is to plan an earlier walk in the day if you want to experience all the other attractions because it's included in the EdgeWalk admission. Also try asking your guide to take a photo of the city from that vantage point since you don't have access to taking pictures yourself. If you don't have the guts to do the EdgeWalk then use this special offer to visit the observation deck at the CN tower for $10 after 8pm for a limited time. Horn of Africa needs our help! Government of Canada will match all donations until September 16, 2011. Some of you reading this may not be able to afford to give a donation but it doesn't stop there. You can help by spreading the word to your friends and family. Technology and social networks allow us to spread the word of the drought in Africa real quickly to everyone. The more news that is spread the better awareness for everyone that might enable other countries to take action. So please do something positive today because everything helps at this point. You have to live life on the edge, right? Well today I get to enjoy the new attraction at the CN Tower called EdgeWalk and actually walk the talk. EdgeWalk is the newest attraction to takeover Toronto. It's an ultimate thrill seeking activity and not for the faint of heart for those scared of heights. I'm excited to experience this unique adventure because it pushes your limits. Sometimes we need to get "Out of the Box" and try something different to widen your horizons (figuratively speaking). Anyways if you are in Toronto at 7pm it's me waving down saying hello! I've experienced a helicopter ride and have also been on the "Insanity" ride at the Stratoshphere in Las Vegas. So I do feel acclimated to the conditions. At least I think so when typing this post. Toronto BeerFestival is coming soon! Wobbly Where: The Bandshell at Exhibition Place-Take Dufferin bus 29 to the grounds. Wobbly What: It's a whole bunch of beer/food and wobbly people in one big area rain or shine. Wobbly Who: Who will be there? It will be a special VIP Social Lounge complete with WiFi and charging stations. We will have beer tokens and food in our special area. You may get special access to The Trews and also the The SheepDogs who just recently won the chance to be on the cover of "Rolling Stones" So come out and have a wobbly time! Wobbly Why: Why should you come? Not adding the beer, food and the entertainment you will get to hang with other socially friendly people you may see online. Hope to see you all there. Let's Connect - I will respond within 24hrs. ClickFlick.ca Updates Delivered to you!